Internet Marketing for franchise businesses in San Antonio, TX and across the nation. 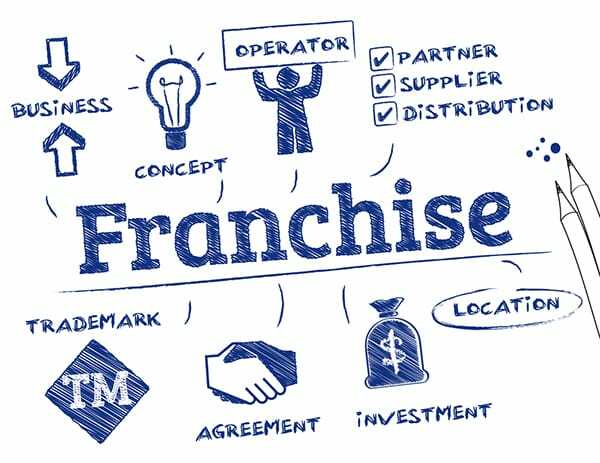 For most franchisors, there are comprehensive marketing plans put in place for the overall franchise. This national plan can include everything from advertising campaigns, commercials on the radio, Internet advertising, social media, public relations, and direct mail efforts. With all this, the franchise is hoping to achieve well-established brand recognition nationwide. While all this is well and good for the entire franchise as a whole, many franchisees strive to make a greater impact in their local markets. This is where the problems can arise. Generally, franchisors do not provide marketing outlines for preparing strategies on a local level—leaving their local franchise owners hanging high and dry when it comes to creating local marketing strategies. Local franchisees will then turn to old tactics that seemed to be successful in the past—such as the promotion and planning of a “grand opening.” Local marketing efforts can also be difficult because there is often a strict set of rules put in place for the use of franchise trademarks in order to provide a consistent message to prospective and current customers. If all this is making your head spin, it should. But take a deep breath, because Revved Business is here to help. Our team has worked with a variety of local franchises to assist in increasing their online visibility and lead generation. One of the most effective ways we’ve found to improve your franchise digital marketing strategies is to narrow your target market. Instead of opting to use a very general message to attract customers, focus on messages that appeal to your local clientele. 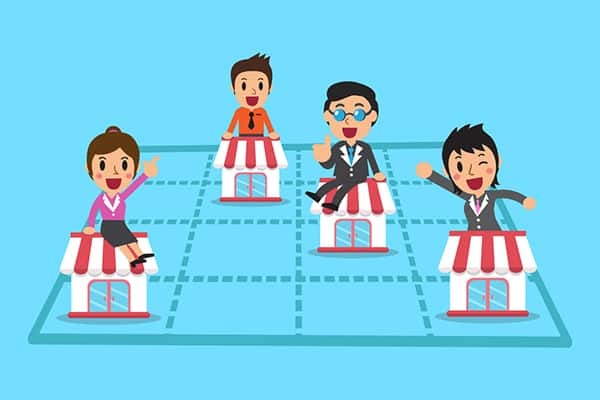 At Revved Business, we understand that competing with other franchisors head to head is just part of the business, and we also understand that local startup franchises often find lead generation very difficult. Whether your franchise operates out of one or multiple locations, our team can focus our approach on local business optimization strategies that will distinguish you from other local competitors—even if they are owners of the same franchise. We’ll do our homework, determining exactly who your biggest competitors are, what type of services and pricing they offer, how they’re executing their digital marketing strategies, and where they rank in comparison. Then, we’ll create a custom tailored plan to meet your exact needs and accomplish your goals. We’ll find a way to separate you from other similar franchises in the area, elevating your individual franchise to the top of the local search results. Owning and operating a local franchise, it’s important to create a community for your customers. While a community doesn’t necessarily have to be a physical geographical local, a community can also be establish online or through social media. At Revved Business, our focus on local business optimization will help you create a sense of belonging and community that can help your franchise development and create consumer connections. By establishing a local community presence, it can help consumers learn more about your product or service. It also gives you an opportunity to show that you and your franchise operation cares about the local community and that you are invested in working to help it succeed. Local communities want to feel like they are doing something to help their local economy, and as a franchise you can still take part in that sense of community. In terms of creating a community via social media, Revved Business can also help to circulate content and reach your relevant audience. Once we see who is the most active on social media, we can start creating more customized content to eventually start up conversations and encourage lead generation. Using these tactics and many others, local business optimization will lead to growth in your community and online visibility. In today’s digital age, marketing has become an essential part of organization growth—even for doctors’ offices and practices. And the truth is, more and more people have transitioned to seeking health information on the web and on their mobile devices, rather than immediately going directly to a doctor’s office or urgent care. Because of this fact, it’s critical that doctors to establish a strong online presence and enhance their lead generation for their offices. With the help of our marketing gurus at Revved Business, we’ll make sure that your business is prepared to elevate over your competition with a strong local business visibility strategy. Our team understands how Google determines its ranking for your websites. They rank pages based on two primary metrics: authority, which is a measure of how many people share or link back to your content, and relevancy, which is a measure of how well you create content that relates to the keywords users type into search engines (like Google, Yahoo, or Bing) to find your website or blog. Websites that create relevant content that gets found by Internet users, and then gets shared across the web, is deemed as being authoritative. Working with our team at Revved Business, we’ll ensure that your practice and your website are not only enhanced for search engine optimization and lead generation, but we’ll also make sure you have relevant content leading potential clients to your site. Do you want more leads for your business? Revved Business focuses on lead generation and local search marketing for franchises in San Antonio, TX and beyond. Time to get your business all revved up! The idea of local business optimization also includes the important of accurate business listings for your franchise, regardless of where they are found. Many of our clients are frequently surprised by how many places their company is listed. From Google, Yahoo and Bing, to Facebook, Twitter, Google+, and review sites like Yelp and Angie’s list, your franchise should always have consistency and reliability in your online presence—which in turn, helps to contribute to consistency within your brand across the board. Information on all your listings should be accurate and optimized for lead generation. Many of these listings are also combined with online reviews. Reviews can be very important for local franchise businesses because they allow consumers to see other consumers’ experience with your product or service. In today’s world of mobile devices, the majority of consumers are checking online and reading reviews before making their final decisions to spend their money on your goods or services. Although you don’t always have full control over online reviews, it’s important that you monitor them and do your best to increase your number of online reviews. Our team at Revved Business can help with this, and we’ll guarantee that each of your listed business citations on any and all review sites is correct. In the end, local franchises have just as great of an opportunity to succeed in local markets as any other business in the area. As a franchise, it’s often easy to be searchable, but in today’s competitive markets, being searchable is not enough. When it comes to your local franchise’s online visibility, there’s nothing more than important than your ability to be found. Working with us at Revved Business, our team will ensure that your franchise in findable by doing everything we can to raise your online presence and catapult your lead generation. Before we implement any new strategy for your franchise, we’ll perform a local search audit for specific area and your target market. This audit helps to fill us in on where you stand in local search results and determines what areas we need to focus on. Analyzing your competition, we’ll be sure that you stand out from the pack—not just through your ranking, but also throughout your messaging. It won’t take long until you’ll see the full potential of your franchise, led by our focused strategies of lead generation and enhanced online visibility.